Want to Find Some Stuff to Keep You Busy this Fall and Winter? Do you find as the weather changes you don’t have as much to do? During the warmer months, it is easy to just go outside and just enjoy ourselves but many say it’s not as easy this time of year and even harder come the winter. Well, we took that to heart when we heard from some members that they dread summer ending as they have nothing to do. We researched what is happening in Durham Region, and while we certainly don’t have enough room to post about everything, we sure do have a great list of resources for you to check out! We will start east and then head west then travel north throughout Durham for you! Here goes…. If you live in Clarington (or close to) and haven’t stopped by BOAA (Bowmanville Older Adult Association) you are missing out! 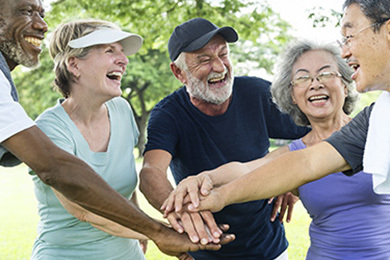 This group of seniors have fun daily activities ranging from cards, to dances, to luncheons, to theatre events, volunteer opportunities, games, and more. They also have a long list of programs available through the Fall & Winter worth checking out…Click Here to learn more. Oshawa has several opportunities for seniors all year long. Interested in photography or woodworking? Like to play cards, billiards, backgammon or other games? Well check out OSCC, Oshawa Senior Citizen Centres. They have 4 centres located across Oshawa and there is always something fun going on to suit every like or need. Food related activities, programs, health & wellness clinics and more….check them out by clicking Here to learn more. You can even arrange to get a ride to one of their centres! Now for Whitby, the town that recently launched their Age-Friendly Action Plan. lots of exciting changes will be happening in Whitby to help make life better for our aging population. Yeah! 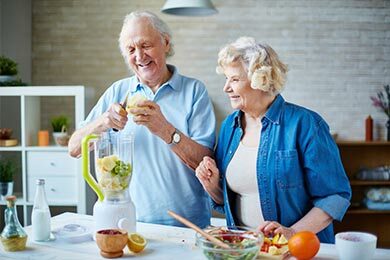 Like the rest of Durham, Whitby has many programs, classes, workshops, luncheons, trips, leisure & sports groups, health & wellness events all geared towards seniors. Click Here to learn more about all the events happening in Whitby over the next few months including age friendly events. The Town of Ajax is rocking, too! They offer all sorts of fun things like, card games, line dancing, Eastern dance, Zumba, bowling, excursions, fitness classes, pickleball, carpet bowling, snooker/pool, table tennis, Scrabble, Mah Jong, darts, bingo, shuffleboard, ladies’ sewing, knitting, crocheting craft group, rug hooking, quilting and more. Click Here to see everything they offer. Our west end of Durham includes of course, Pickering another upbeat and busy community with sooo many options for fun for seniors. 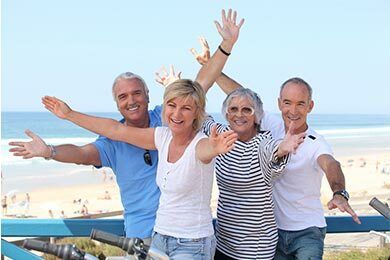 They also offer multiple locations for seniors to get out and enjoy themselves. Each location has programs, workshops and special events that run seasonally throughout the year. Choices include selections for fitness, dance, creative arts, leisure, and special interest. Click Here to learn more about what is happening in Pickering this year! Last but not least is our northern Durham Region which includes the Scugog area including Port Perry and Uxbridge. A beautiful part of Durham and not far for anywhere within the region, there is always some great stuff going on there, too! Enjoy art, card games like bridge, euchre and cribbage games, a choir, crafts, exercise, line dancing, shuffleboard, woodcarving, socials, pot luck suppers and more. Click Here to learn more about Scugog’s offerings. Near and dear to our heart at Seniors Lifestyle is our partner the Salt Life Cave & Spa located right on Brock St. in Uxbridge. It tailors to clients who are seniors and has helped many enjoy simple relaxation and those with breathing issues. Want to feel better? Book a session in the salt cave and let us know how you feel. Note: that our Premium members get their first visit to the Salt Cave for free so you may want to sign up by clicking Here then book your appointment. The Fall season is a beautiful time of year to drive to Uxbridge and enjoy the wonders of the season. Uxbridge also has its own seniors centre that offers many exciting ventures all season long. Click Here to learn more. Please check out an area you live closest to and sign up for at least one thing today! You can even download their program guides to your computer so you can have easy access to what’s going on anytime. You don’t need to live in the actual town to enjoy the events going on and it doesn’t matter if you have a partner or not because everything is geared towards individuals getting out and getting busy and doing something fun! Meet new people, learn something new, share what you know and do what you love. You can literally have something to do everyday in Durham Region throughout the rest of the year and into the new year! Life is short so get out there, join something and enjoy yourself! Please share this with others so everyone can easily access what is happening in Durham and can get busy!